Greetings friends and fellow crafters. It is that time of year again... the Winter Coffee Lovers Blog Hop. 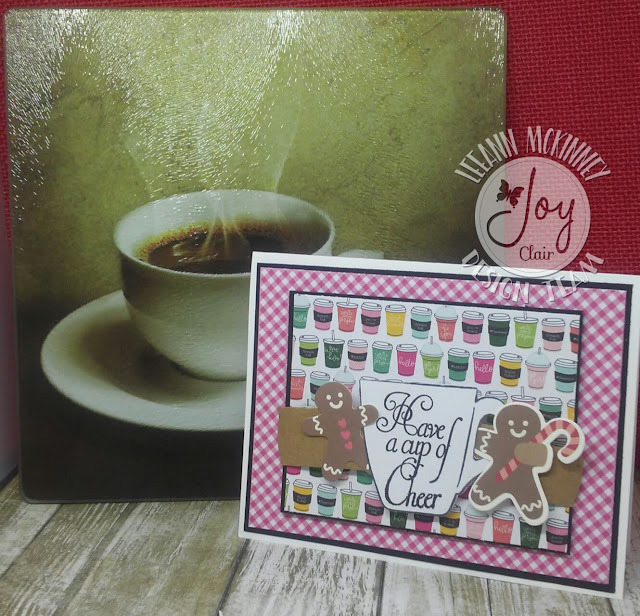 Once again Joy Clair is a Super Sponsor for the Coffee Hop and I am sharing my post using one of the stamp sets from Joy Clair. I could not decide which image I wanted to share, so I am adding both. 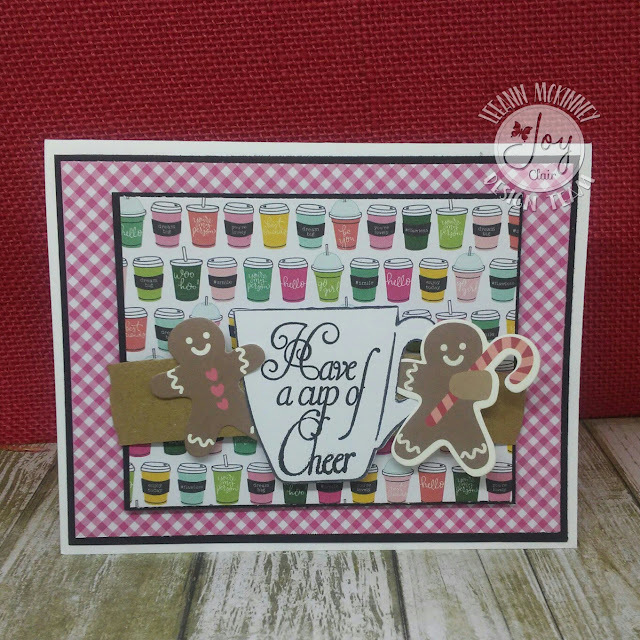 I used Joy Clair Christmas Coffee Stamp Set and background paper from a 6x6 Pebbles Paper Pack called Girl Squad. I knew this was going to be perfect. I also used a couple of the Gingerbread Kids from the Merry Merry Ephemera pack. Adorable card and love the addition of the gingerbread people. paper and the cute little gingerbread people! Darling card! Love the papers you used! Perfect choice with the big cup and gingerbread folks! Love your card and that background paper! Cute. I like the papers you used.